The healthiest ingredients used in natural cosmetics include mineral powders, flower extracts and plant oils. If you are looking to buy only healthy cosmetics, going for natural or organic ranges is probably your best choice. Cosmetics that have mineral powders as primary ingredients have become quite popular in the recent years. These products are typically made from natural minerals that are sterilized and then transformed into powder. Some of the most common mineral cosmetics include mineral creams, mineral foundation and eye shadow. As minerals are inorganic ingredients, these cosmetics have a longer shelf life without the need of additional preservatives that can often be harmful. The most common floral extracts that are used as ingredients in natural cosmetics are jasmine, rose and lavender. Besides providing cosmetics with a pleasant smell, they have high skincare value as well. For example, rose has strong moisturizing properties; jasmine is effective in fighting the signs of aging, while lavender is ideal for refreshing tensed and stressed skin. Other flower extracts used in natural cosmetics are marigold, with anti-inflammatory properties and lily, which is a skin whitening ingredient. Plant oils are used as ingredients in a variety of cosmetic products, ranging from body moisturizers to make up items. 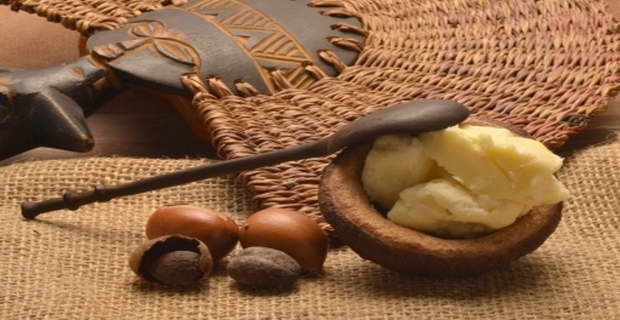 Shea butter is one of the most common plant oils used in natural cosmetic products. The Shea butter is known for its excellent moisturizing properties. Other plant oils you can find in different natural cosmetic products are baobab oil, tea tree oil and Cupuacu butter.